DONALD Trump has his fair share of critics - but perhaps none quite so powerful as Tom Steyer. And unfortunately for the divisive United States President, the billionaire hedge fund manager and activist is on a serious mission to end his political career. 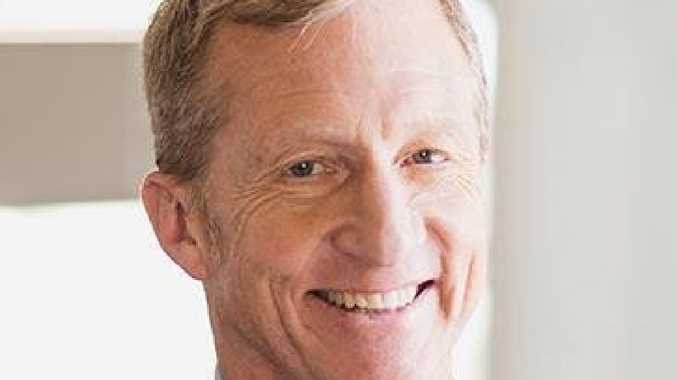 In fact, Mr Steyer even founded the multimillion-dollar Need to Impeach campaign - a movement solely focused on calling out Mr Trump's alleged "corruption" and bringing him to justice. The group is convinced there's enough evidence for an impeachment, and if successful, it could become the biggest political scandal of our times. It is calling for US citizens to sign a petition in favour of impeachment, with its website stating: "Donald Trump has admitted his campaign colluded with the Russian government to get elected, failed in his duty as Commander in Chief to defend our democracy, takes money from foreign governments daily, actively obstructs justice, and thinks he is above the law. "We the people must impeach this president." It also cites a December 2017 panel of constitutional lawyers, which "agreed that there is more than enough evidence to begin the impeachment process and that Congress has an obligation to act now". Mr Steyer recently told BuzzFeed News' Facebook Watch show Profile evidence of Mr Trump's corruption was "in plain sight". 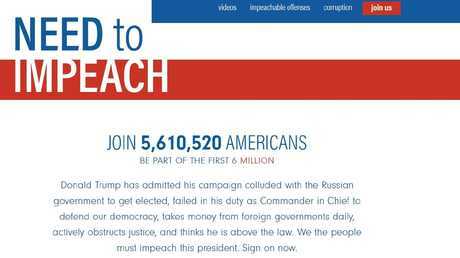 More than 5.6 million people have already signed the Need to Impeach petition. "If you step back for one second and think about this President, the most corrupt president in American history - (he's) somebody who is breaking the law on a daily basis, somebody who is reckless and dangerous and lawless," he told the program. The key to Mr Steyer's corruption claims is the fact the President is being directly paid by a huge number of representatives of foreign governments - including Saudi Arabia, Turkey, Kuwait, and the Philippines - who have all stayed at his hotel in the US capital, or held events there. "In the Constitution, it says that the President cannot take any payment whatsoever from a foreign government - for obvious reasons," the 61-year-old explained. "I mean, you can't have the President taking money from a foreign government, which would mean that he might … do what's right for them instead of what's right for the American people. "He does that on a daily basis." While Mr Trump has been embroiled in countless controversies since taking office in January 2017, Mr Steyer says it's this example of corruption that could be the strongest grounds for impeachment to date. 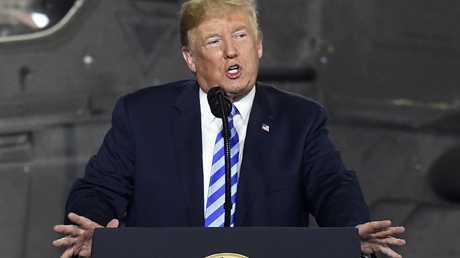 And he said a survey of 200,000 people within the Need to Impeach database revealed a massive 30 per cent were already in favour of impeaching the President. Of course, Mr Steyer's comments are just the latest headache plaguing Mr Trump. This week, rogue ex-staffer Omarosa Manigault-Newman unleashed a stunning attack on Mr Trump, making the explosive claim the President "absolutely" knew about WikiLeaks hacking Hillary Clinton's emails prior to the 2016 US election. Mr Trump fired back, sensationally calling her "that dog" on Twitter. Meanwhile, White House spokeswoman Sarah Huckabee Sanders has also refused to confirm whether or not Mr Trump ever used the "n-word", amid claims a recording exists of him using the racial slur during the production of The Apprentice. Mr Steyer made his vast, $US1.6 billion fortune as the founder and former co-senior managing partner of Farallon Capital and the co-founder of OneCalifornia Bank. 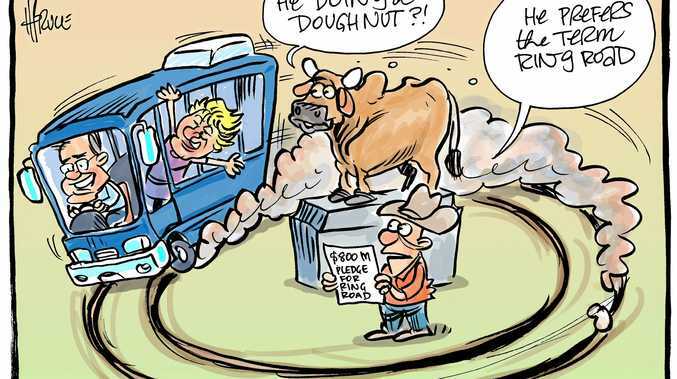 He has already pledged a total of $US120 million of his own cash towards encouraging voter turnout at the upcoming midterm elections, to be held in November. In 2010, Mr Steyer and wife Kat Taylor signed The Giving Pledge to donate half their wealth to charity.